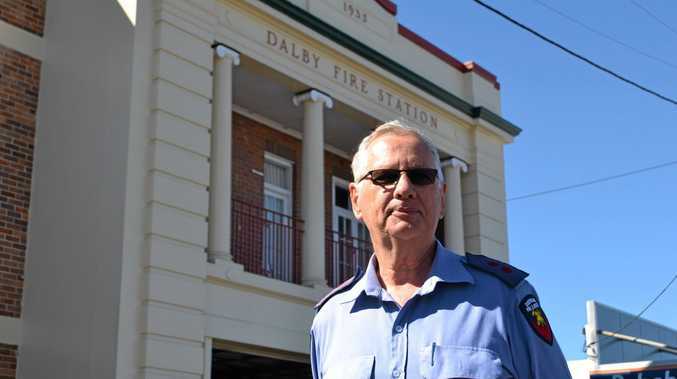 AFTER 30 years, Captain Ian Tuppack is handing in his pager and leaving the Dalby Auxiliary Fire Station to the next generation. What started as community service with the Dalby SES, became a full-blown commitment to the QFES when he joined in February 1985. In 2000 he was appointed captain. As part of the job, he has been on call every hour of every day for 30 years. Throughout his time, he has responded to countless emergencies and has seen Dalby citizens through confronting and dangerous situations. Fire, flood, storms, traffic accidents, bushfires and hazardous material spills have coloured the more stressful periods of his career, which he handled a cool head. “He’s very calm, very focused – some of the jobs you go to have a high level of adrenaline, and it’s always good having him there,” he said. “Ian is one of the most gifted, skilled and calm individuals. I defy anybody to beat him on the fire ground,” auxiliary firefighter David Kucks said. Ian is an area trainer for the QFES and has trained dozens of new recruits through the mandatory 150-hour pre-operational training process. He is also a Peer Support Officer, and has since assisted many firefighters learn to better handle the increasingly complex and difficult incidents they attend. For Rebecca Williams, the only female firefighter on the crew, Ian’s gentle leadership made all the difference. “He’s been my mentor the whole way through. It’s difficult being a girl in a mostly male environment and he made it very easy,” she said. “He taught me little techniques, like being able to hold the hose when you don’t have someone to back you up... it’ll lift you off the floor if you don’t do it properly. In 2005/6, during Cyclone Larry, Ian spent a considerable amount of time working with other firefighters from across Queensland, assisting individuals and businesses in North Queensland. His acknowledgements through the QFES have been well-deserved. 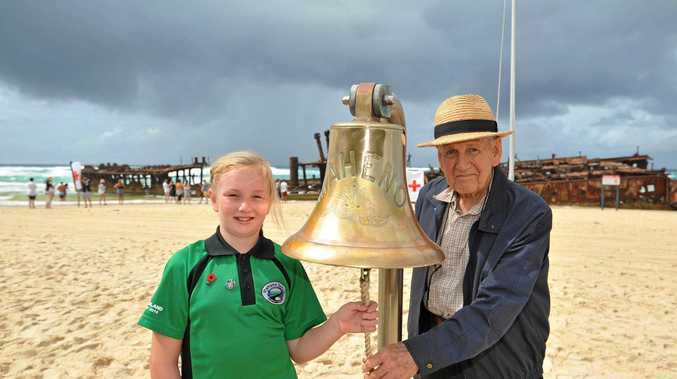 He received the DESM and first and second clasps, the National medal and first clasp, the Queensland Flood & Cyclone citation and the Australia Day Achievement medallion. He has also been awarded the National Emergency Medal, the Commissioners Award for Excellence and the Olga Wilson Award for Peer Support. Captain Tuppack must retire as part of the QFES protocol, like Don Ashmore before him; once you turn 65, your service is over. He said he looked forward to making up some lost time with his family, and was happy to be leaving Dalby with a full complement of 21 young auxiliaries.